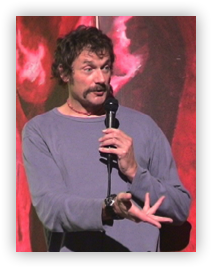 My quirky comedy has got me work as a stand-up comedian in the USA, Sweden, France, Ireland, Holland, The Czech Republic, Poland, Hungary, Croatia, Dubai, Oman, and The Falklands. This in addition to the British "comedy circuit", including Jongleurs and The Comedy Store in London. I'm best known for being Tinky Winky - the most famous of the “TELETUBBIES”. I have several credits as a serious stage actor.